Consumer Action criss-crossed California to hold three roundtables to train community groups on its new Health Records Privacy in California educational module in summer 2013. The work was made possible by a grant from the Rose Foundation for Communities and the Environment. On July 10, Consumer Action landed in Rialto, where we trained staff and volunteers from government agencies, community colleges, health services, social services and faith-based groups. In Fresno on Aug. 13, Consumer Action trained community groups serving immigrants, the disabled, community college students, mental health clients, families and individuals. Oakland was the site of an Aug. 15 training, which brought together staff and volunteers from housing, government, community healthcare and immigrant service agencies. The new module presents the benefits and risks associated with electronic health records, explains how the information in health records can and can’t be used and disclosed to third parties, and informs patients about their rights and the steps they can take to protect their privacy. The module includes a multilingual brochure, a backgrounder that explores the topic in greater detail, and a wallet card that can be referred to while visiting health care providers. A lesson plan, including case studies, and a companion PowerPoint presentation provide trainers with the tools to educate clients and community members. Consumer Action’s Linda Williams created a “How Much Do You Know?” game used to great acclaim at all three trainings to test participants’ knowledge of medical privacy laws before they began the training. The activity asks participants whether certain statements are true or false. For team-building purposes, participants were asked to work in groups. 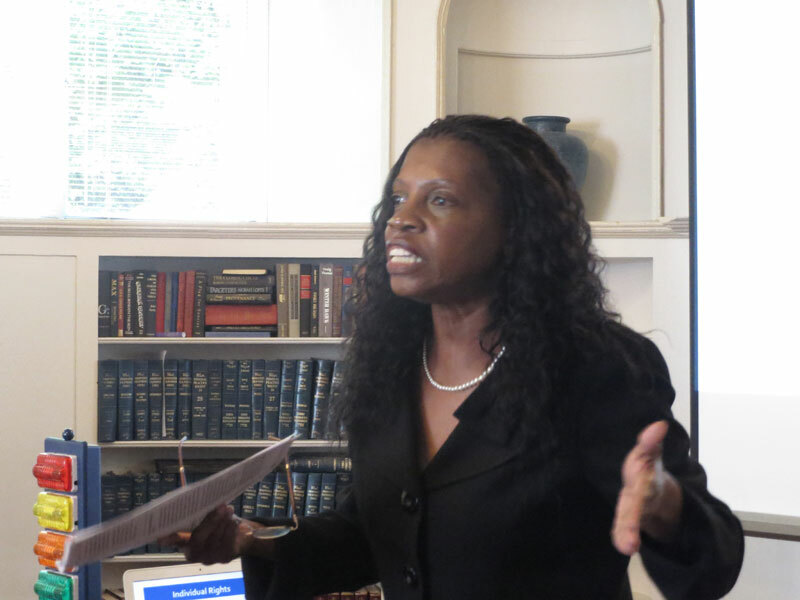 Williams explained why the statements were true or false while co-trainer Nelson Santiago kept score. Prizes were awarded to the winning team. 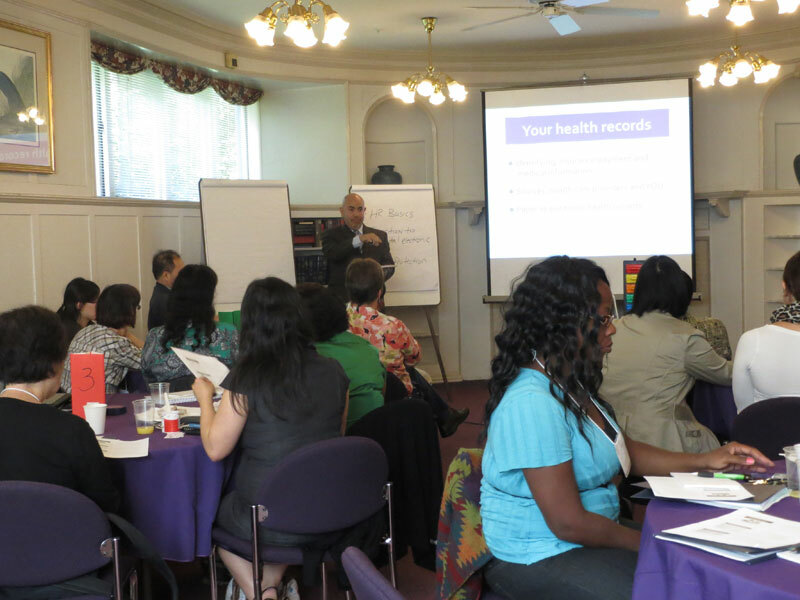 Santiago covered health records basics (what is in the records and sources of information); the transition from paper to electronic records (benefits and risks); privacy rights and laws; and the definition of health marketing. Williams covered the difference between California law and HIPAA; options for receiving communications from providers; steps patients can take to protect their privacy; how to access your medical records; medical and prescription reports; rules regarding data breaches; medical identity theft; and how to complain if things go wrong. 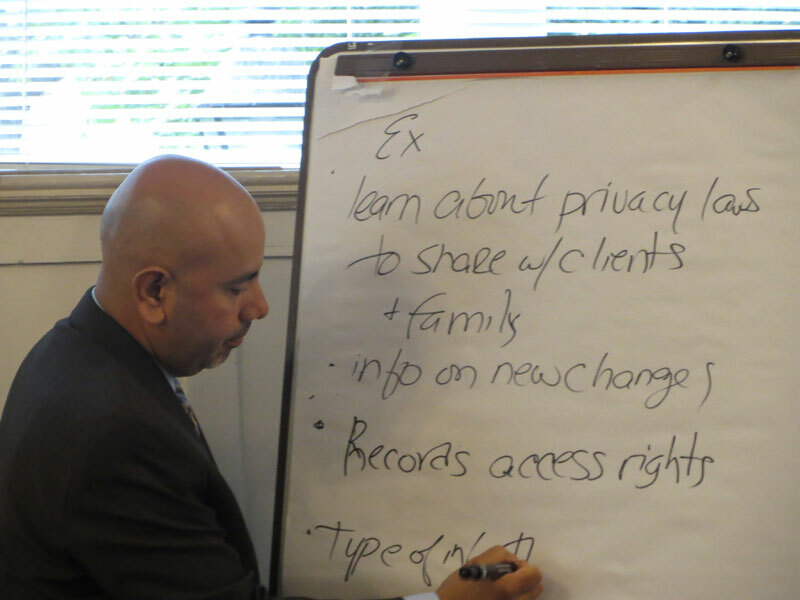 At the end of the training agenda, Williams and Santiago had participants work on the patient rights case studies found in the Health Records Privacy lesson plan. Consumer Action trainers always strive to raise the bar. After the Rialto training, the team added supplemental materials to the module. Santiago created a short sample form titled "Acknowledgement of Receipt of Notice of Privacy Practices" to share in Fresno and Oakland. Williams provided participants with a sample form called "Notice of Privacy Practices." Based on participant feedback, the module’s PowerPoint slides were updated to include graphics to help community educators explain the complex subject of electronic health records and medical privacy in a more visual way. The Health Records Privacy in California case studies and other training tools are available for free download.